Tara is a royal place, in pre-history and in historic times 142 kings are said to have reigned in the name of Tara. The Coronation stone called the Lia Fail or Stone of Destiny has rested here down the ages. 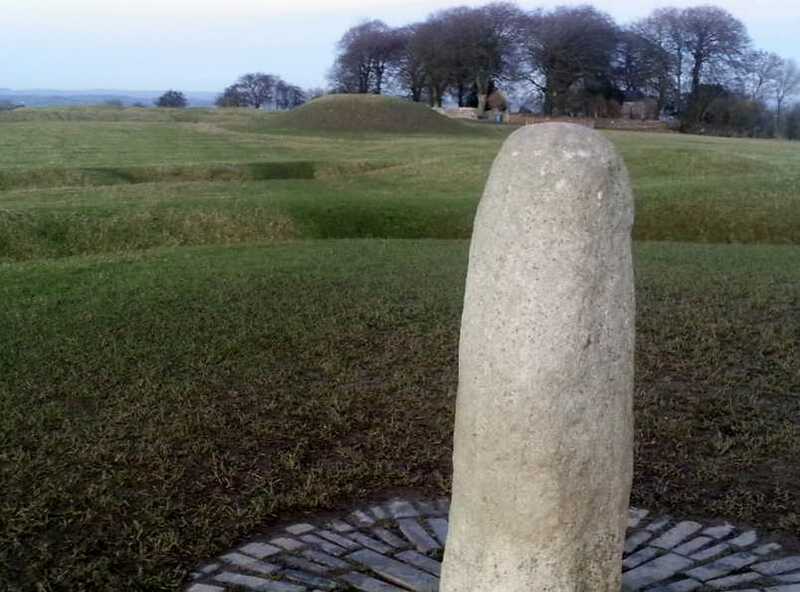 It was here that the most powerful of Irish kings held their great inaugural feasts. Tara is a sacred place in ancient Irish religion and mythology Tara was revered as a dwelling of the gods and an entrance place to the otherworld of eternal joy and plenty where no mortal ever grew old. Tara is a Celtic place and is one of the largest complexes of Celtic monuments in all of Europe. The first settlers came here 6,000 years ago, they and the Celts who followed choose Tara as a very special place. It has many important features, including the banqueting hall, the rath of the synods, the Kings Seat, Cormac's House and the highest and possibly most important of them all, the Mound of the Hostages. Tara is the 1459th highest place in Ireland. Tara is the most westerly summit in the East Coast area. "Cernait, Grainne, Cormac, Fionn, t'was here they loved and lost and won. Their secrets lie 'neath Tara's soil, known only to the Lia Fail" Song of Tara. On most of the MV ratings this hill fails miserably! It scores zero in terms of challenge and wilderness, it can't be linked with another hill and there is quiet a bit of walker damage. Unless you have the clearest of days, when you can see the Cooley and Mourne ranges, the view is quiet uninspiring and as you approach it you will barely notice that it is a hill. Yet having said this, it is one that we should all visit!